At midnight as the calendar turned over to this date in 1947, anti-communist Bulgarian politician Nikola Petkov was hanged in Sofia’s central prison. 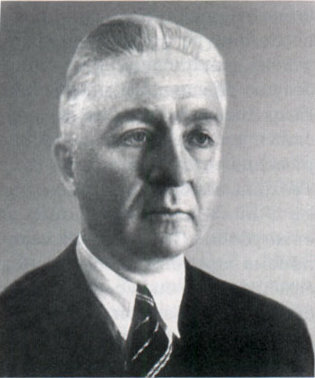 Petkov was a principal in a still-extant peasant party that briefly held state power in Bulgaria in the early 1920s. His anti-fascist activities did him no favors as Bulgaria’s aligned with the Axis, and he spent the war touring his country’s internment camps. The anti-fascist Fatherland Front that Petkov co-founded — allying with the Communist party in what would prove to be a Faustian bargain — had become the government by the end of the war, with Petkov in a ministerial role. Unfortunately for Petkov, greater ministers of greater states were even then carving up spheres of influence in the postwar world. In the process, the Bulgarian statesman would get carved right out. Here’s the blog of this critically acclaimed novel’s author. With Bulgaria slated for the Soviet bloc and all its scary political purges, the Fatherland Front was soon controlled by the Communists. Petkov mounted brave but futile opposition as a Member of Parliament — until he was arrested in the parliament building itself, an apt image for Bulgaria’s entrance onto the Cold War chessboard as a red pawn. The show trial and resultant death sentence “for having tried to overthrow the legal authority and restore Fascism in the country by conspiring with military organisations” briefly exercised western diplomats filing appeals and high-minded talk about justice during the summer of 1947. Which stuff earned the derision of Bulgarian Premier Georgi Dimitrov, so Soviet-aligned that he was a Soviet citizen. In this menacing speech to the Social Democrats the next January, his Don’t-Mess-With-TexasBulgaria umbrage at outside actors for having the temerity to object stands in ironic contrast to Dimitrov’s own history as a prewar international cause celebre … back when he was unjustly accused in Nazi Germany for the Reichstag Fire. So sauce for the goose-stepper is sauce for the dialectical materialist? As you remember from this rostrum I many times warned your political allies from Nikola Petkov’s group. They did not listen to me. They took no notice of all my warnings. They broke their heads, and their leader is now under the ground. You should now think it over, lest you share their fate … When the trial against Nikola Petkov began you said “The court will not dare to sentence him to death. It would be too horrible. Both Washington and London will rise against it in order to stop it.” I said then: “Nobody can stop it. Those who may try to intervene from abroad will only worsen the position of the accused and his friends.’ What happened? What I said would happen. The court fulfilled its role, fulfilled the will of the people and sentenced the traitor to death. Of course, if there had been no interference from abroad, if they had not tried to dictate to the sovereign court, the head of Petkov could have been saved Yes, it could have been saved. His death sentence could have been commuted to another sentence. But when they tried to blackmail the Bulgarian people and question the authority of a sovereign court, it became necessary for the death sentence to be executed. And it was executed. What happened then? Who rose against it in the country? Where were the demonstrations, the mutinies with which we were threatened? Nothing like that happened. And what happened abroad? Not even decent diplomatic notes were delivered, which could have been expected. No one raised a hand in defense of Petkov. Some people in the West shouted for a while, but soon quietened (sic) down … The whole incident was soon forgotten. “To a dog, a dog’s death,” sneered the official trade union council about Petkov — a taunt liberally repeated by Radio Sofia. The “dog” was posthumously rehabilitated in 1990, and now has the requisite post-Soviet public monuments.